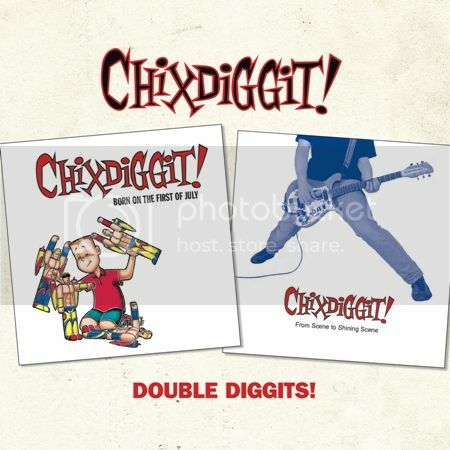 Listen to two songs from Chixdiggit! 's upcoming re-issue Double Diggits! Good Morning nerds! What goes perfectly with your morning joe? Blaring “Chupacabras” and “Thursday Night” by Chixdiggit! These two songs ooze good vibes and power pop sweetness to get the day going. Aux is currently premiering both stellar songs and you can listen to them here! On July 23rd, we’ll release Double Diggits! We’ve overhauled two of their classic albums onto one disc complete with 8 rare bonus tracks all re-mastered and ready to be pre-ordered!